Home » Dogs » Nutrition & Food » Is it good to Give my Dogs Kiwi? Can Dogs Eat Kiwi? I know that kiwi is good for people but is it good for dogs? Can dogs eat kiwi? I know it can also be a very potent allergen for some people. Is that the same for dogs too? My dog wants to eat everything I eat. I want to give him as much as possible, but I sure don’t want to make him sick. Can I Give my Dogs Nectarines? 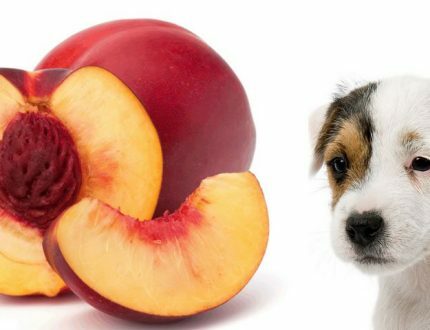 Can Dogs Eat Nectarines? Dogs may like fruits and vegetables, but their bodies are not the same as ours and some are toxic while others will only upset their stomachs. You need to know the difference. For instance, dogs can handle cantaloupe, honeydew and watermelon. On the other hand, they cannot handle avocados, raisins or grapes. For humans the kiwi is sweet and delectable. It’s unusual and a favorite of many. It not only looks different from most other fruits, it taste different as well. It’s available all year long and is often used in deserts. Kiwi is often eaten in smoothies or made into purees. It is also cut into stars or eaten whole. You do have to avoid the skin or outer layer and the seeds. These seeds may be toxic. Kiwi is considered a very good fruit for human consumption. Is that the same for dogs? Kiwi is a fine fruit for your dogs to eat, even though it does not hold the health benefits for dogs that it does for people. It is not toxic as long as you avoid the seeds and don’t give your dog a whole kiwi. The outer layer is very hard, but some dogs will like it. Check with your vet before you feed him the outer layer. Small amounts of kiwi used as a treat for training or just a small reward is a good plan. If your dog likes kiwi, it is better for him and for you, than snacking on junk food or rawhide treats. My dog ate a rabbit in the backyard last spring. Kiwi is certainly preferable than a non-domestic animal like a rabbit or a squirrel. Kiwi does contain a lot of Vitamin C and other minerals, but unlike people, dogs do not need the supplement of fruit into their diets. They get all the vitamins and minerals they need in their usual manufactured dog food. 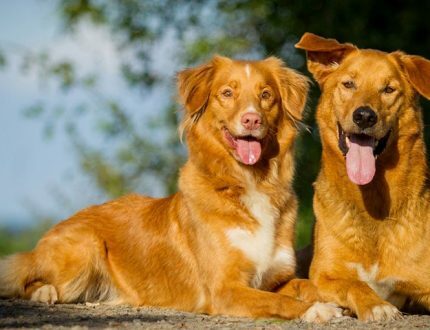 Dogs also produce the vitamin C that their bodies need. Kiwi does have some anti-inflammatory properties and benefits in fighting cancer and respiratory issues. 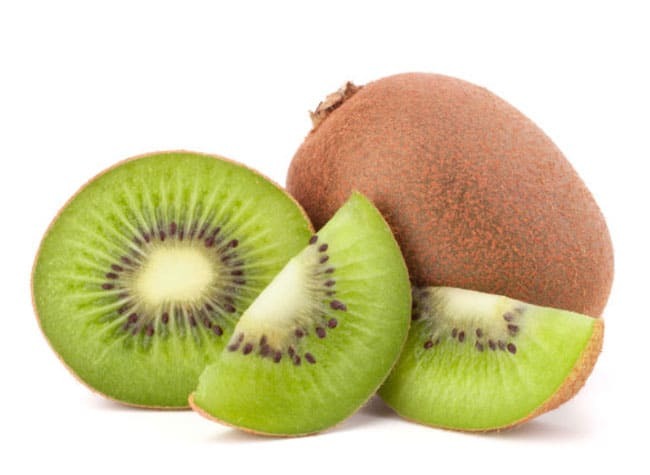 Vitamin K and vitamin E are also present in good quantity in the Kiwi fruit. Also there is a lot of potassium in kiwi. Kiwi is known for protection against oxidative cell damage and preventing breathing issues like asthma. It helps to keep your dogs blood pressure regular and boosts their immune system and folate that is helpful to pregnant dogs, when giving birth. Dogs age much faster than we do, and kiwi can help to protect from macular degeneration. As with most fruits, the kiwi has seeds that might be toxic to dogs. So, make sure you take the seeds out. Just cut the kiwi open and spoon out the seeds. Then you can give your dog a piece. Swallowing the seeds can cause choking issues for smaller dogs and a blockage issue for even some larger dogs Remove the outer layer if your dog doesn’t like it. Some dogs do like it and it is not harmful in small amounts. Kiwi is somewhat expensive to give to your dog very often. So, use it for treats and not as a part of their diet. If they eat too much it can cause them to have gastrointestinal problems like constipation and diarrhea. They might also have abdominal pain. Eating the skin might add to this intestinal upset. It might just be better to remove it every time. In every instance however, it is best to practice moderation when giving your dogs kiwi. Moderation is the key. Don’t try giving your pup a whole kiwi. Take the skin off and remove the seeds. Now cut the fruit into small bites and offer your dog just one. He might not like it. He might not like the smell. Some dogs like tropical fruit and some do not. But the first time you give it, only try one piece. If he likes it, the next time you can give 2-3 pieces. Then watch him for any of the problems mentioned above. If possible, get your dog to chew the kiwi and not just swallow it as many dogs do with treats of any kind. If your dog likes the fruit and happens to get into your stock and eat a whole one, take him to the vet right away to be safe. Your vet will check to make sure he isn’t choking or having any blockage. There is a change that the whole kiwi will have to be surgically removed. Don’t take a chance on this, as a blockage in the intestines could kill your dog. It is best to use the pieces of kiwi as a treat when you are training your dog or just sitting together and relaxing. Just don’t give several pieces and walk away. Even if it is not the first time, your dog has had it, stay with him for a few minutes to make sure there are no problems. Can dogs eat kiwi? 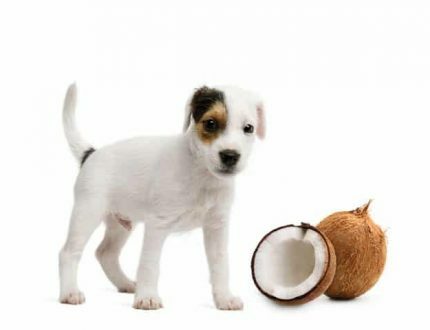 Absolutely they can, but unlike some other fruits like nectarines, oranges, watermelon or honeydew, the kiwi will not give your dog a lot of health benefits. There are some but not as many as some fruits offer. In addition, there might be more potential issues with the kiwi fruit that don’t occur with other fruits. Any pitted fruit poses a danger if your dog consumes the pit. This danger might come from the toxicity in the pit, from an intestinal blockage from the pit or a choking incident. 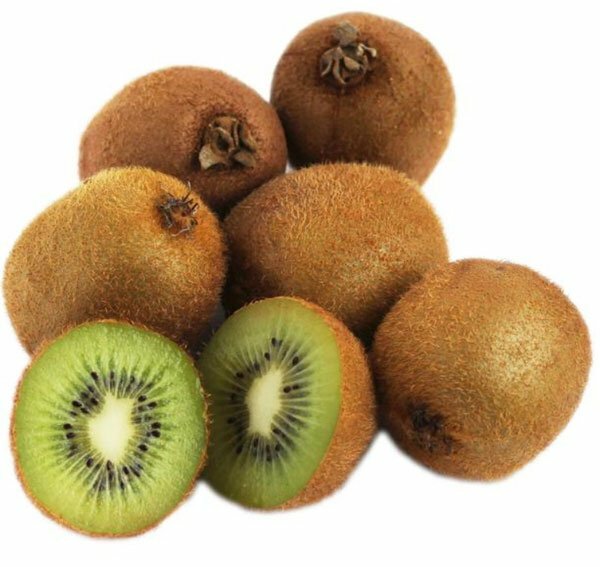 The kiwi however poses additional concerns in regard to intestinal issues in the form of either constipation or diarrhea. At the very least you could cause a stomach ache or uncomfortableness for your dog. If your dog likes kiwi it is good to give him small amounts at a time, never a whole fruit. At the same time there are so many other sweet, delicious fruits that have more benefits and less risk.